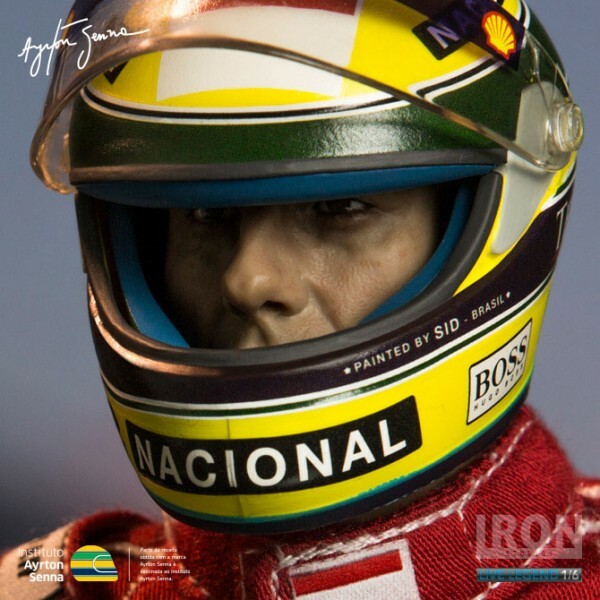 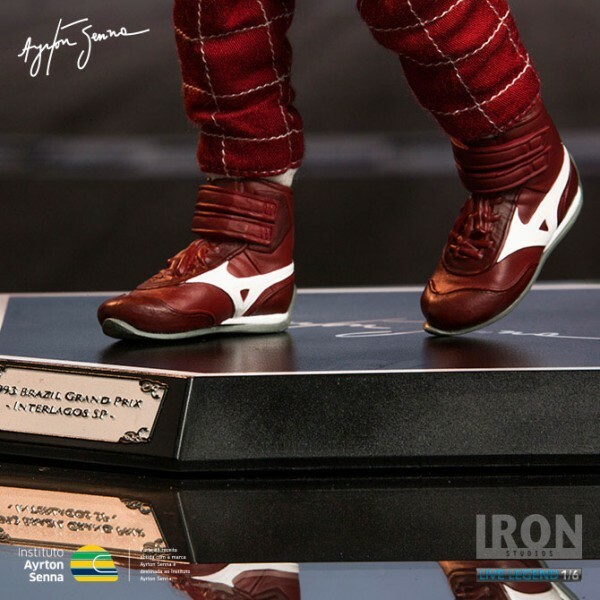 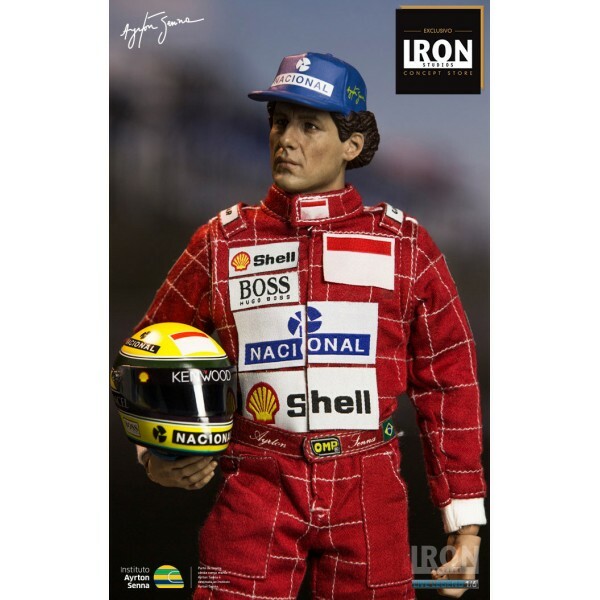 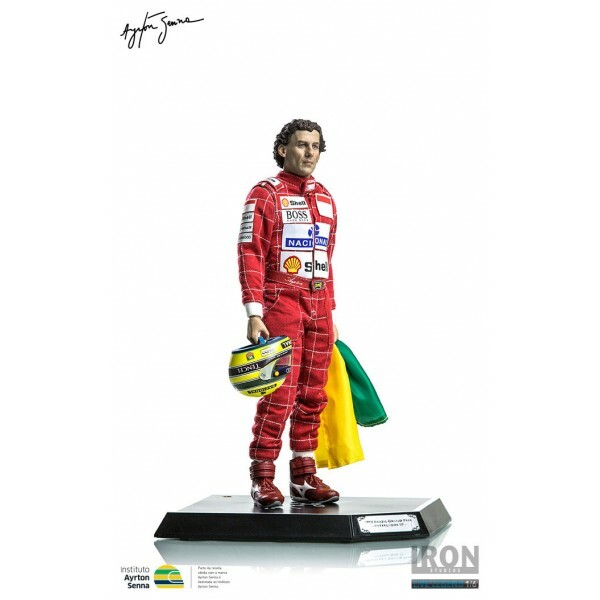 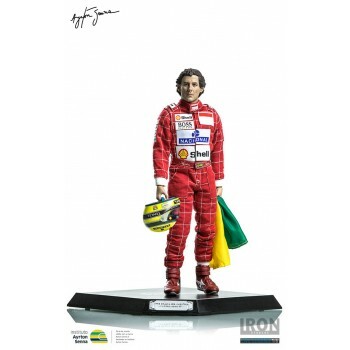 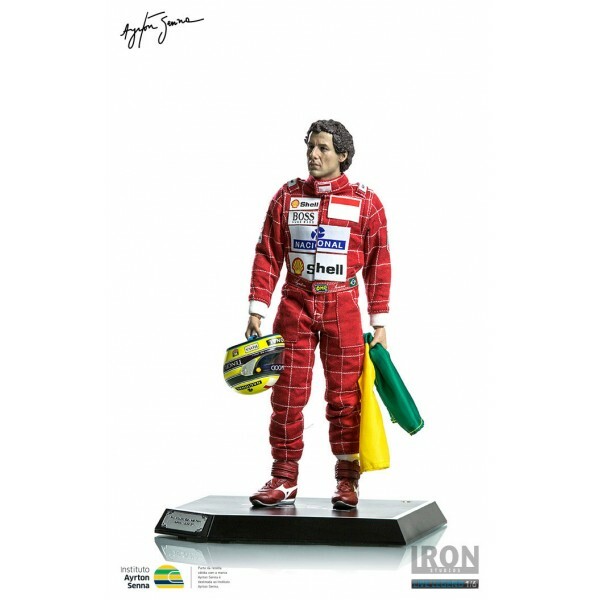 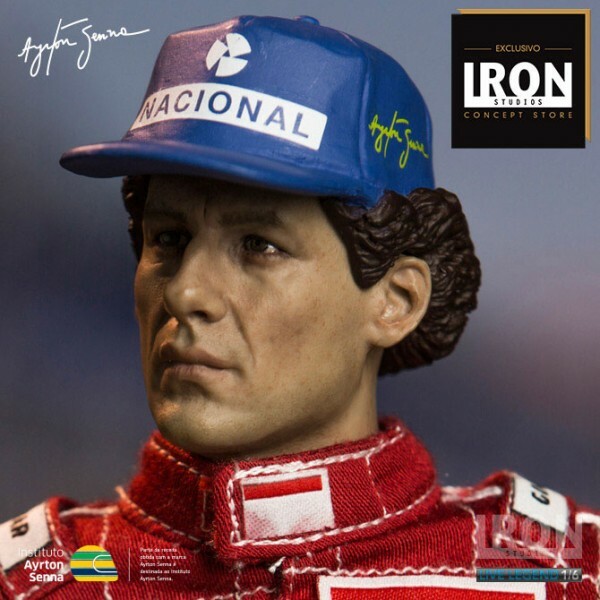 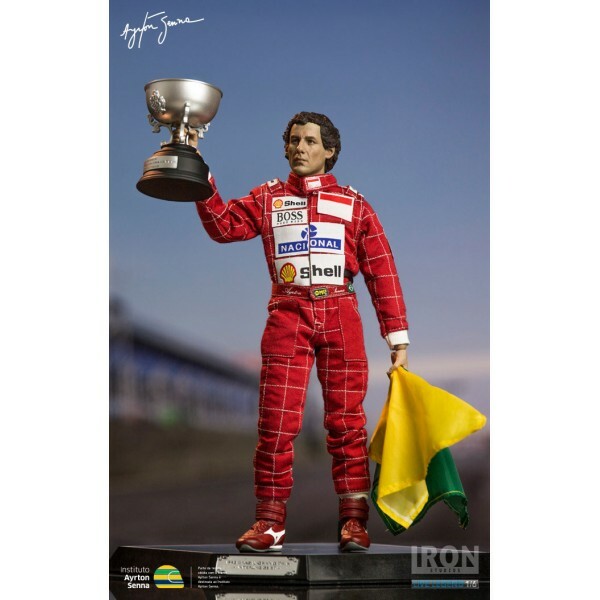 All accessories and suit produced based on original references, provided by the Ayrton Senna Institute and used by the pilot. 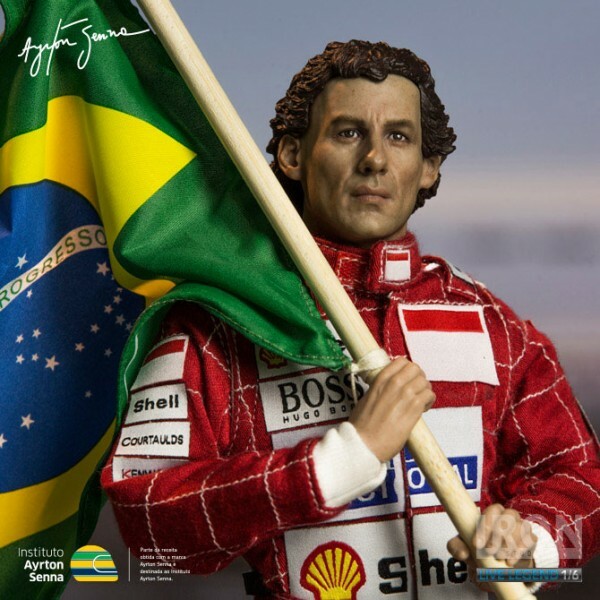 Fabric suit, reproduced exactly as the suit used during the victory in the GP Sao Paulo 1993. 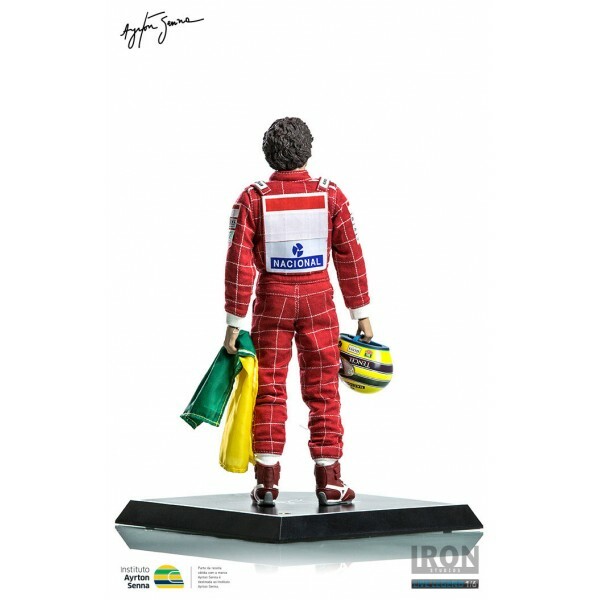 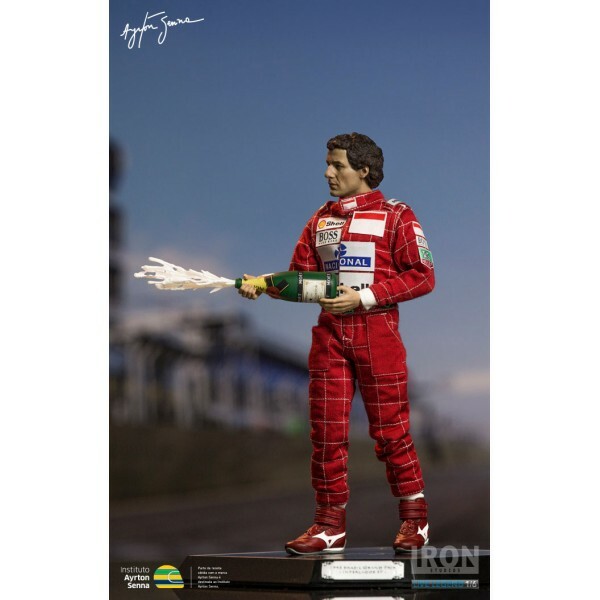 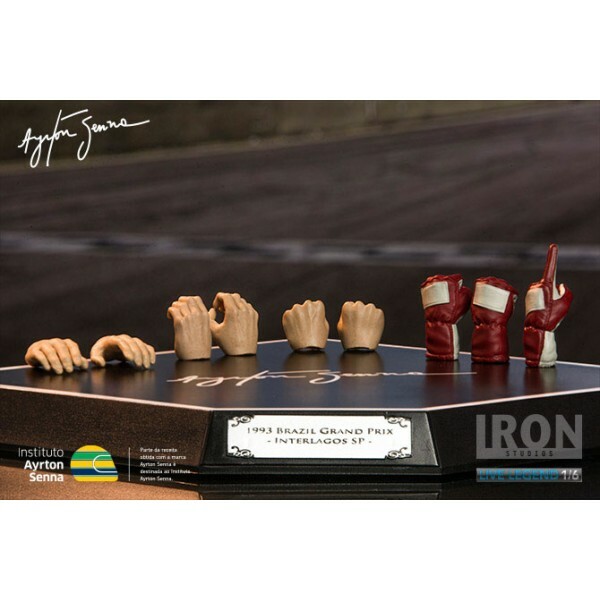 Includes 9 options of hands, two helmets, two flags, one title trophy 1993 replica and sparkling bottle replica. Accompanies base with articulated rod support.